In January 2012, I’d resolved to post directly to the blog more and edit less. I had an especially bad habit of leaving posts to languish in my drafts folder for months and then deleting them because they weren’t topical anymore. While I did get better about editing, I didn’t post straight to the blog much at all. So I’m renewing the same resolution to be more brave about my posting in the coming year. At least that’s going to be my excuse for any typos people point out. City of Steam is my novelty game. It’s a steampunk setting with a F2P model using a browser client. I missed a few chances to play in the closed beta, so I can’t say anything about how it plays. I’m a little concerned that they’re relying on just the setting to differentiate the game from other MMOs instead of trying to refine and improve the genre standard mechanics, but that’s based on superficial research on my part. I’m pulling for Defiance partly because it’s by Trion. 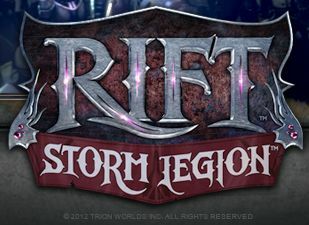 I’ve continued to be a fan of how Trion’s developed Rift even after I wasn’t actively subscribing to it (although I did resubscribe when the Storm Legion expansion was announced), and I’d like to see them continue to succeed. The other reason I’m hoping it does well is there’s a real dearth of science-fiction MMOs and I’m hoping this one doesn’t suffer the same fate as Tabula Rasa. I really don’t think that’s likely, considering how invested both Trion and SyFy are in the game and tie-in television series. Elder Scrolls Online is my dark horse game. I was originally pretty pessimistic about the game’s chances, but my opinion has since become more optimistic based on developer interviews. Of course talk is cheap so who knows if ESO will fly or fall, but I’m hoping that it does well just so I can explore Tamriel more widely than I’ve been able to do in Skyrim. Of all of the upcoming MMOs, Neverwinter is the only one that I’m genuinely excited for. Prior to going to GenCon this summer, this game was in the I’ll-play-it-when-it-comes-out category but I was really impressed with out beautiful the demo was. The environments were detailed and interesting, and the animations were fluid. The gameplay itself was very action oriented, and reminded me slightly of Torchlight and Gauntlet. Add all that to a supercharged version of the Foundry software that’s currently in Star Trek Online, and I’m not only excited to play the game Cryptic is making but also see what kinds of modules players build. There’ve been some really excellent missions done in STO and I hope that Neverwinter will inspire the same amount of creativity in it’s players. Outside of those few new games, this year is going to be all about the backlog. Anyone want to take bets on how long that lasts? Champions Online has been making a lot of changes and I really want to roll up a brand new hero to see what’s changed with the game since 2011. I know there’s lots of new powers and custom pieces, plus they recently added vehicles, and have just started hinting a some big new content releases. Lord of the Rings Online has the whole Riders of Rohan expansion that I’ve not touched yet, plus I still have about a third of the Rise of Isengard expansion to finish. Rift has had a huge amount of new content added, I just need to sit down and force myself to rebuild all of the roles that’ve been reset on my Mage. Even though I completed Dishonored, I was working on replaying a few missions with full stealth/zero kills. I’d also still like to do a second playthrough as more of an assassin than a ghost, but I’m going to bump that down to the bottom of my list for the year. I’d only gotten through about a third of A Game of Dwarves before I was distracted by some other game. I haven’t played that last three DLCs for Mass Effect 3. I never got back to Skyrim last year like I intended, not to mention there’s been one major DLC released for the PC with another one announced. I’ve barely gotten into Torchlight 2. I loved the demo for XCOM enough to preorder the game, but I haven’t launched it since it released. I played Dishonored first since I wanted to make sure I finished that, and got distracted before I could even start XCOM. Plus from my Steam there’s Orcs Must Die 1 & 2, Legend of Grimrock, Anno 2070, SPAZ, and the Back to the Future series all of which barely makes a dent. I also have a few Kickstarter backed games that are in or nearing the beta stages that I want to contribute playtime to like Castle Story, Timber and Stone, and the Banner Saga multiplayer. Outside of games, I also have some more Star Trek ship models to assemble and paint, plus my long suffering Nanowrimo novel from 2010 that I still want to finish. Having so little free time with so many demands is the core of what I want to work on this year. I’ve been in the habit of surfing along with my moods and interests and just spending time on games and projects as my id dictated. While there’s not really anything bad about going with the flow like that, it hasn’t been good for finishing projects. So this year I’m actually making lists of games and other projects I want to finish and sorting them in the order I want to tackle them with the intention of focusing on one at a time. I’ve already had some success at that, since that’s basically how I’ve finished all three Mass Effect games, Red Dead Redemption, and Dishonored. My problems nearly always stem from trying to multi-task between games and other hobbies. New Rift PvP is not what I was expecting. When I first heard the news that Trion was adding three faction PvP, my assumption was that they were adding a third faction to the game à la Dark Age of Camelot. The reality is quite a bit different. I’m disappointed, but it’s really my own fault. I think it’s because of the recent Elder Scrolls Online news combined with Trion’s reputation for putting out insanely large and rapid content updates. The silver lining though, is now I’m not as tempted to resubscribe to Rift. Basically, they’re adding a new PvP map based on Stillmoor where you join up with one of three factions. Each faction comes from an alternate version of Telara, and each has a different philosophy of the purpose of Ascended. It’s a three-way battle over control points between the Ram (believing the Ascended should rule), the Lion (see the Ascended as protectors), and the Raven (think the Ascended should ascend further). It actually does sound interesting, but it’s not enough of a draw for me to go back to the game at the moment. 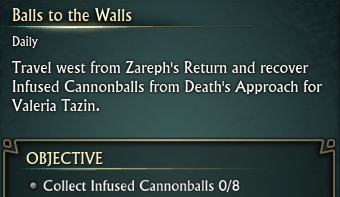 I love this quest title. Today was an oddly busy news day for a Friday. I’ve been wondering for weeks now if Poz was still running the Champions Team over at Cryptic. He hadn’t posted on the forums in weeks and the level of communication from the team had really deteriorated. So, I wasn’t surprised by this announcement that Poz hitting the pause button. The thing that’s odd about the news is it’s half written like Poz is on vacation and half like he’s left the company. Rob Overmeyer is taking over, which is also not a surprise since he did the excellent follow-up Ask Cryptic for April. Besides the (possibly temporary) change in management, Cryptic also posted a new Costumes and Concepts page. The Champions team is going to use this page to give players a peak at upcoming costume designs and get feedback. I really like this idea and hope they keep it up to date. Costumes are a major part of the superhero genre, and the more Cryptic can add to the game the better. Plus. it opens more lines of communication between the development team and the players, and I’m all for increased communication. The other half of Cryptic’s been busy too. The Breen Featured Episode rerun is underway and offers players who missed out the first time a chance to get the Breen Bridge Officer. The team’s also added a new equipment set, so player’s who’ve already been through the FE have some incentive to go back. I really like the idea of reruns while we’re waiting on Season 4 to come out, of course I’d like new FE’s better but this will help pass the time a bit. Some big new Borg-related coming, including a revamp similar to what the Romulans got. Rare particle traces are getting their own icons. I know this sounds minor, but when I return to Spacedock and I have a row of rare traces in my inventory, it is so slow to hover over each to figure out which one stacks where. Season 5 will focus on End Game and Fleets. Featured Episode series 4 doesn’t have a release date yet. Stahl is talking like they want to make sure they’re setup for a consistent FE schedule with two weeks between each before series 4 comes out. Despite the possible delay in FE4, Dan said, “The next”content release may not be a feature episode, but something bigger.” So maybe we’ll may see some type of expansion similar to the Season 2: Ancient Enemies? One other thing I wanted to mention. It feels like the team has a big content change coming related to the Borg. Stahl mentioned that they were getting a graphical and mechanic overall like the Romulans got in FE3. He also mentioned that the Undine would be back but not before the Borg “make their move” which he hinted could happen before FE4. Lastly, Stahl answered a question about the Gorn Rebellion by mentioning it depends on whether or not their homeworld get’s assimilated. I also feel like I should mention that Cryptic announced the winning design for the Enterprise-F. Apparently there was some voting done by the community a while back and the fan-favorite isn’t even on the Runners Up list. This of course has resulted in a fifty (when I wrote this) page thread full of nerd rage, trolling, and pleas for sanity. I don’t recommend reading them, except to check out Stahl’s follow up posts here, here, and here. Personally, I like the winning design more than the one some of the community is upset about. Finally, I wanted to highlight a post on the forums by Producer Scott Hartsman regarding character names on RP servers. I generally don’t look at the Rift forums outside of the dev tracker, so I’m not informed at all on the “excitement” Scott’s referring to. I’m inferring from his post though, that there’s been some kind of drama over character names. Which doesn’t surprise me much. Were the server not marked as RP in the launcher, I’d have no idea based on the high number of immersion jarring character names I see running around. I try to keep an open mind about it, but I’m pleased to see Trion talking about clarifying what the naming policy is on RP servers. I’ll be even more pleased (and a little shocked) if they’re enforced.